Under the directives and support of honourable Chairman, Rayat-Bahra Group, Sh. Gurvinder Singh Bahra & able guidance of worthy Campus Director Dr. Chander Mohan, Rayat Bahra Group of Institutes Hoshiarpur in association with *District Education Office (SS) and District Administration Hoshiarpur*, organised a 2days mega event - *SYNERGY -2019* - A Gala Fete of Joining Hands to Eradicate Drugs under *TU MERA BUDDY & TANDRUST PUNJAB* - a self-monitoring drug abuse prevention program of Punjab Govt. 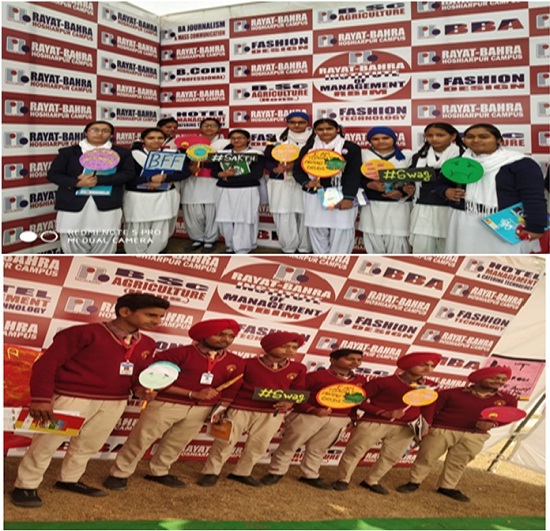 Students of Various Schools of Hoshiarpur district participated in this event. Various *competitive events* and *health counselling sessions* had arranged under *TU MERA BUDDY & TANDRUST PUNJAB*. *Best Buddy Groups & Best Stamina Competition* was the centre of attraction. *Mr Mohan Singh Lehal, DEO Sen Sec Hoshiarpur, Dupty, District Education Officer, Distt Guidance Counsellor Hoshiarpur, Distt Head Tu Mera Buddy and Principals and Faculties of Schools witnessed the event* 16 Buddy Master Trainers of Distt Hoshiarpur were honoured. *Honourable Distt Education officer, (Chief guest of Day-1)* appreciated the efforts done by Rayat Bahra Group of society and congratulated all the staff members for this wonderful event. Madam Amanpreet Kaur Sandhu (IAS), Honorable SDM, Hoshiarpur, graced the occasion by her benign presence as Chief Guest (Day-2) and congratulated all for the efforts. Winner students were honoured on spot. 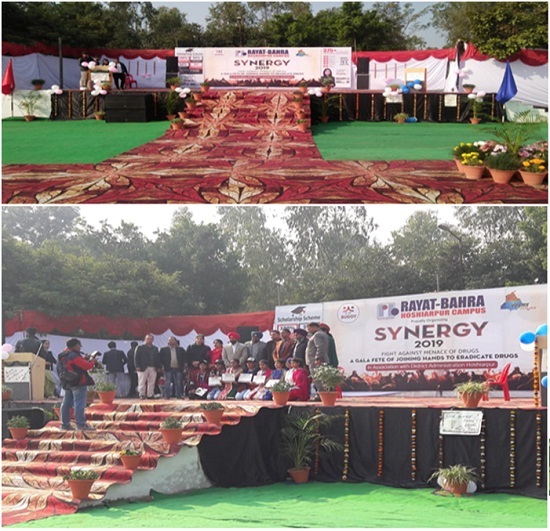 Rayat Bahra Group of Institutes is thankfull to all Members of Rayat Bahra Hoshiarpur campus for the grand success of this mega event.